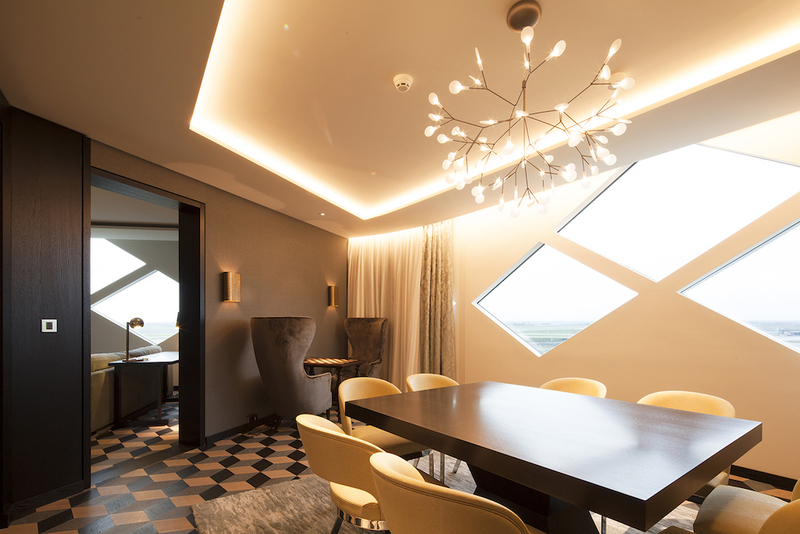 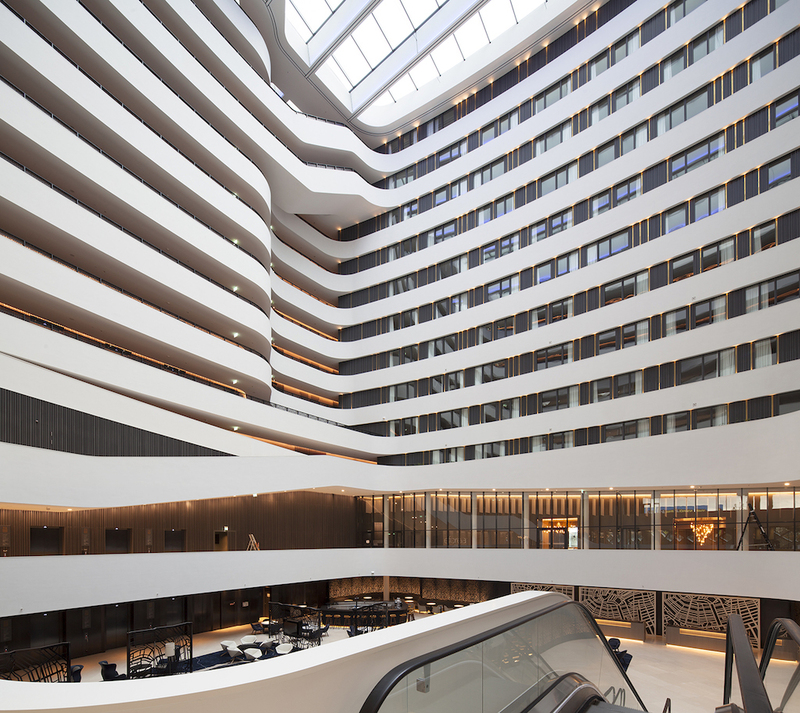 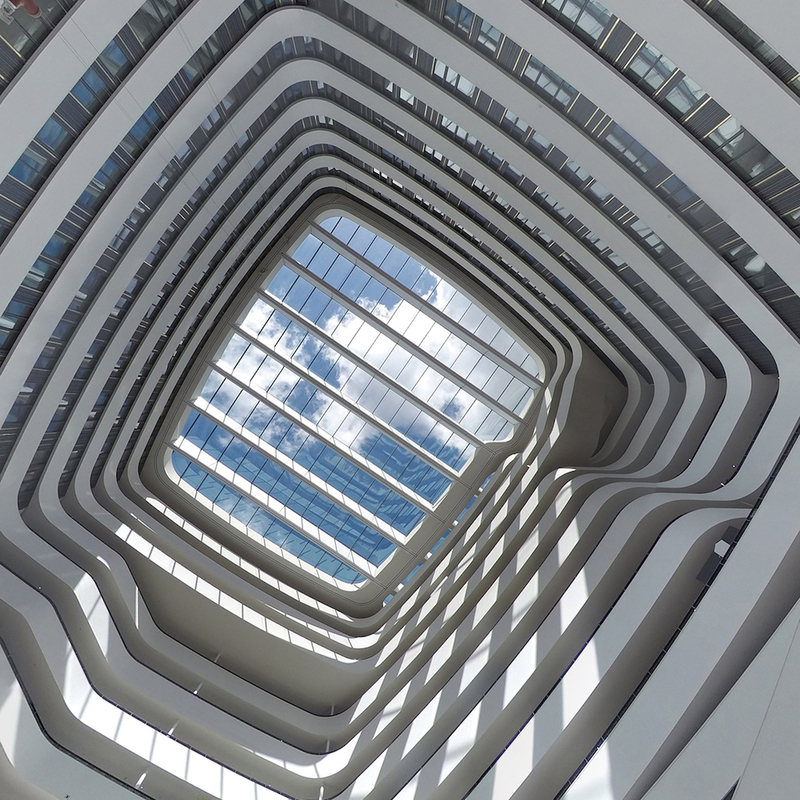 The Hilton Hotel Schiphol Airport, designed by Mecanoo architects, is located near Amsterdam’s international airport. 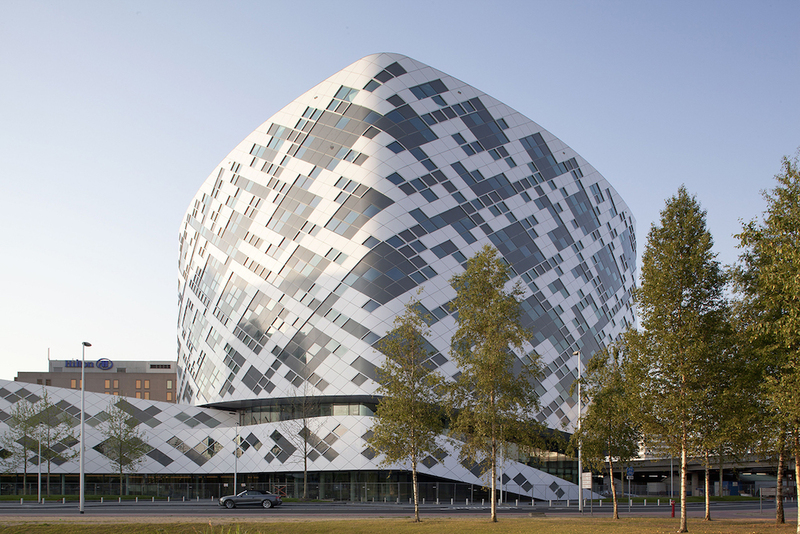 From its spacious plinth, the cube-shaped hotel is rotated 45 degrees to establish a dynamic position. 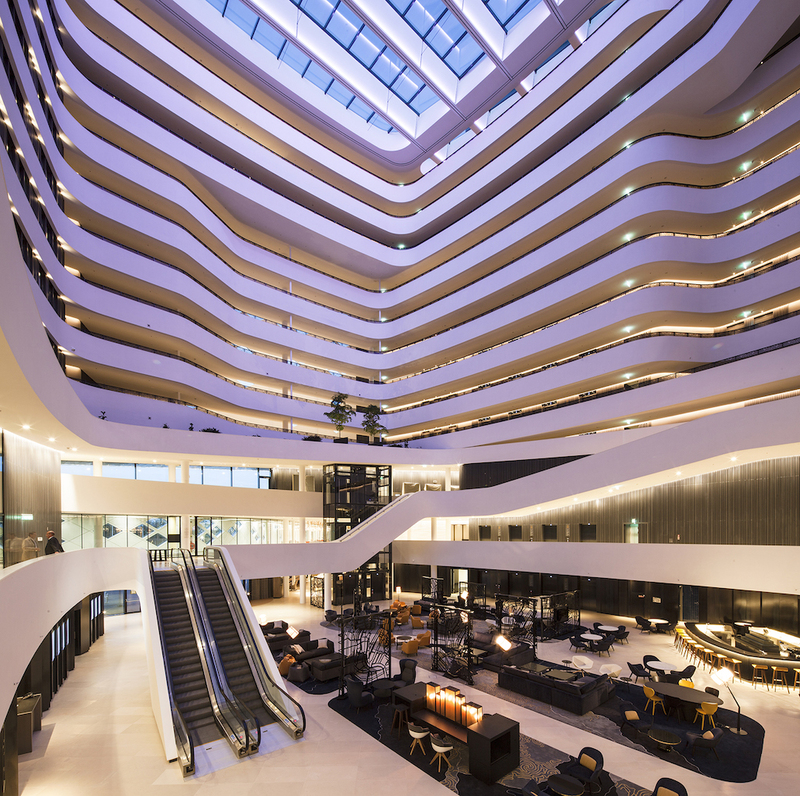 Rounded corners accentuate this dramatic effect so that the hotel contrasts strikingly with the neighbouring, rectilinear buildings. 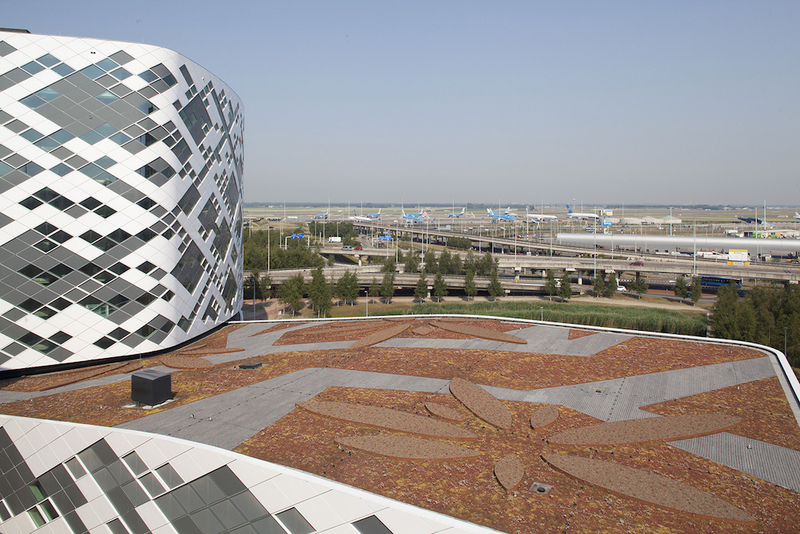 The conference centre on the first and second floors adjoins a passageway that leads directly to the airport. 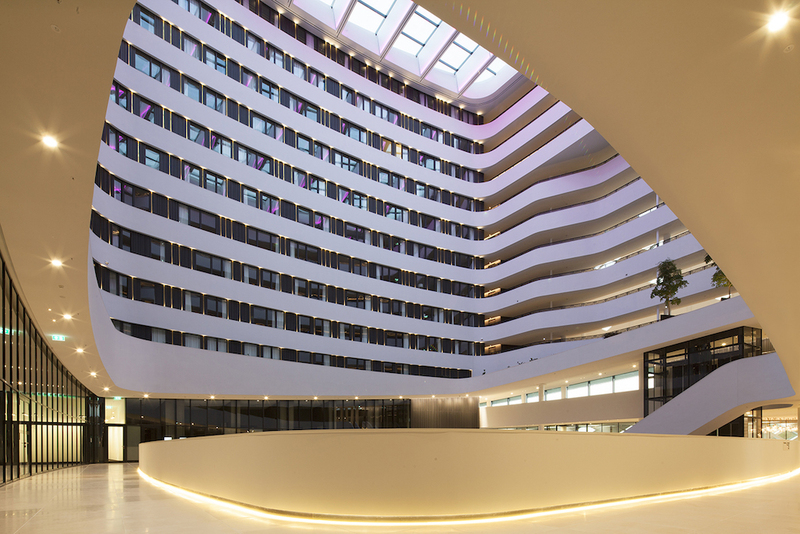 As the heart of the hotel, the impressive atrium has a clear identity featuring a 42-metre-high glass ceiling. 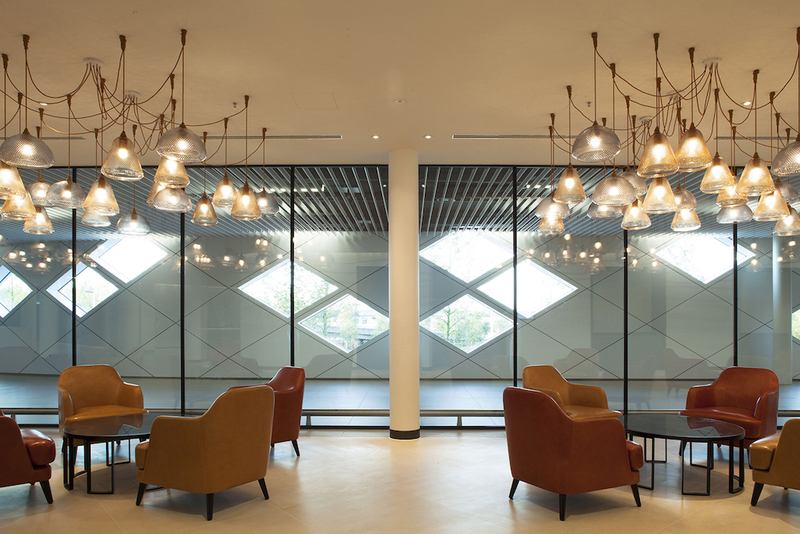 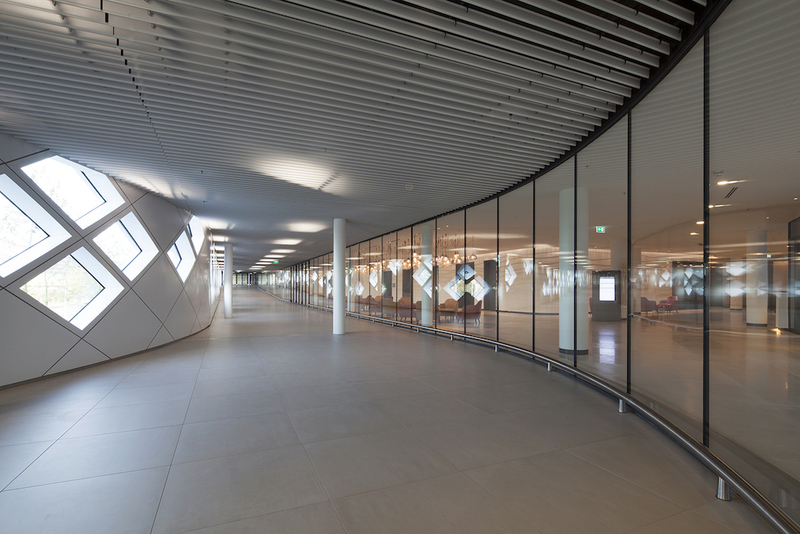 The atrium also serves as an open meeting space and plays an important role in the building’s energy-saving climate concept. 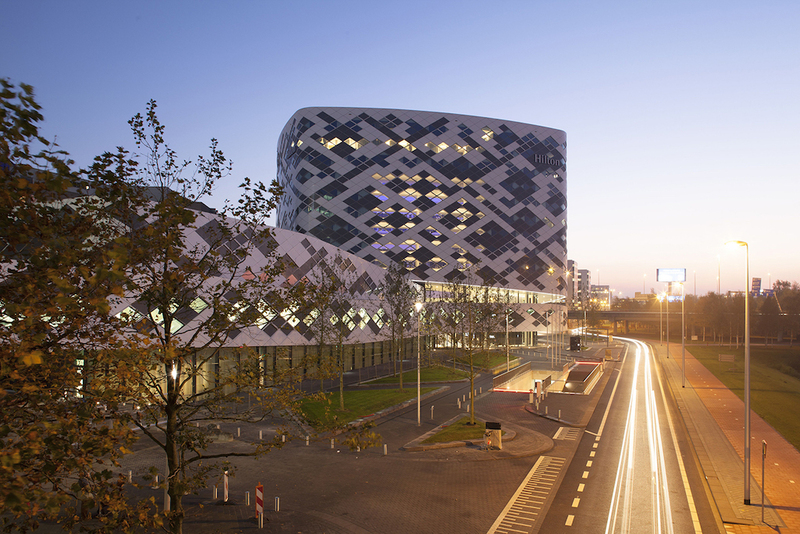 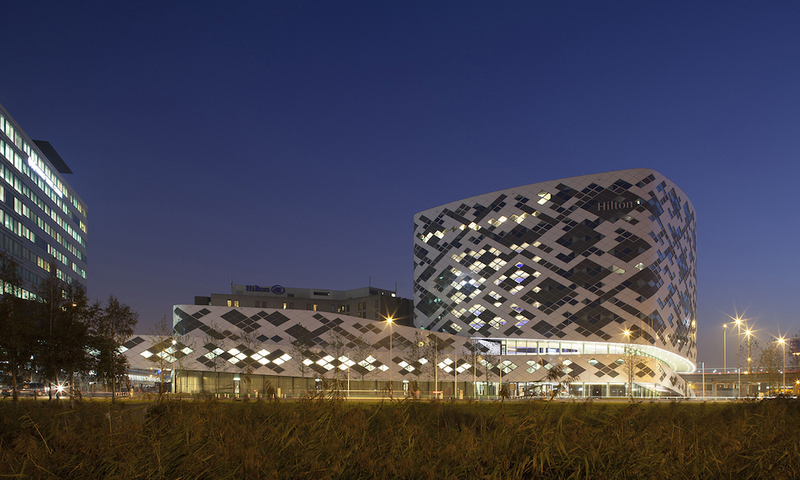 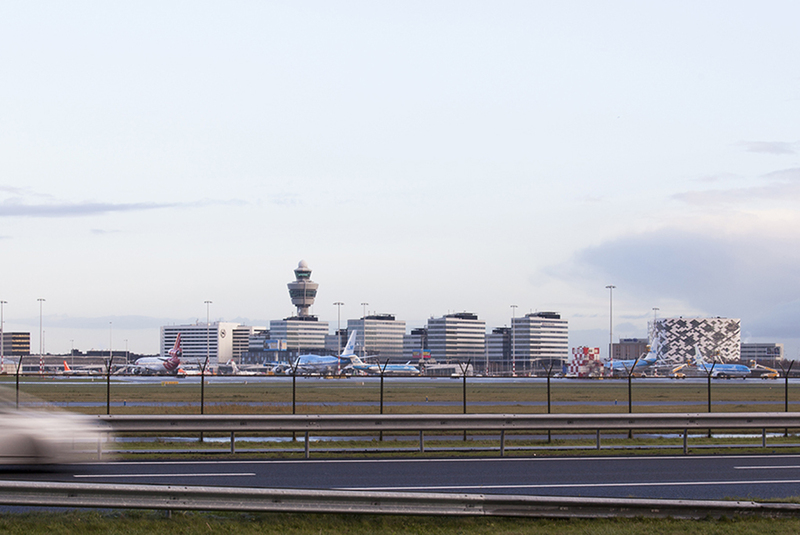 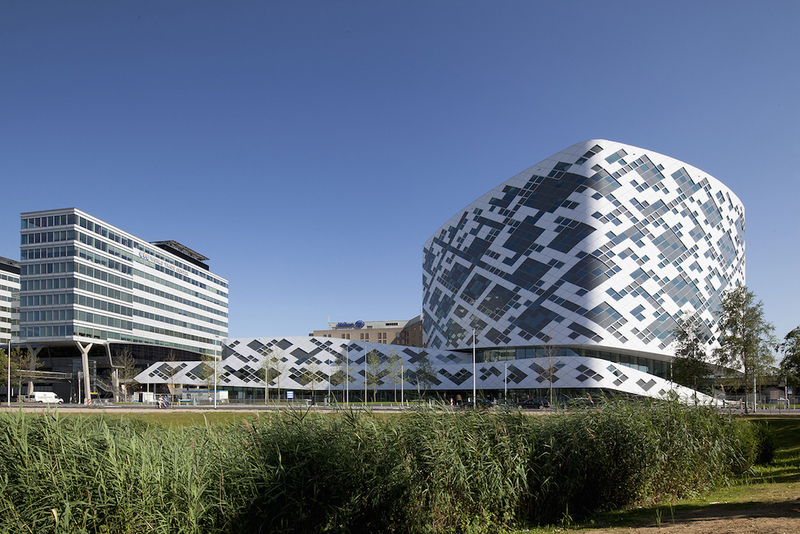 The facade pattern unites the three elements of the complex – plinth, tower with hotel rooms, Schiphol passageway – and is composed of three forms of prefabricated composite panels: straight, curved and arched. 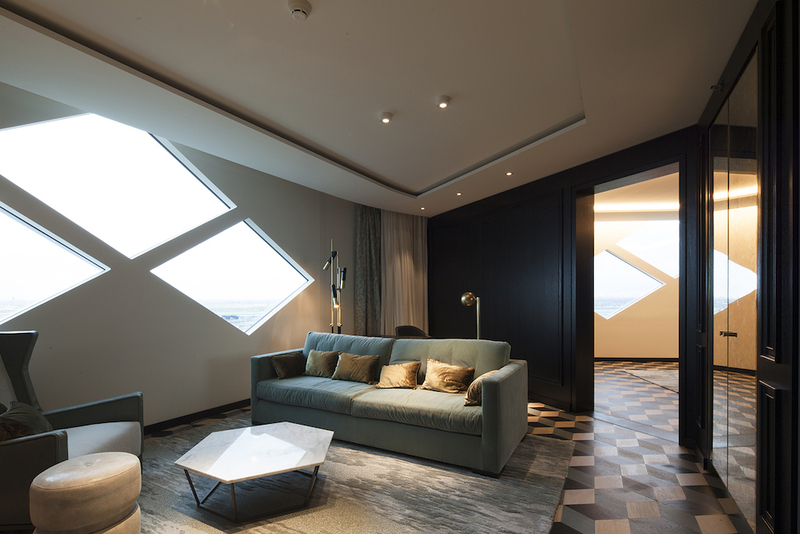 The combination of glass with grey and white panels results in a striking diamond-shaped pattern.